The Bishop’s Bible Days for 2018 are underway! Chad Chadwick leading his workshop on 'Rest: the new rebellion'. Bishop Donald addressing the congregation. Over 150 people attended the first of two Bishop’s Bible Days at Peterborough Cathedral on Saturday (24th February). 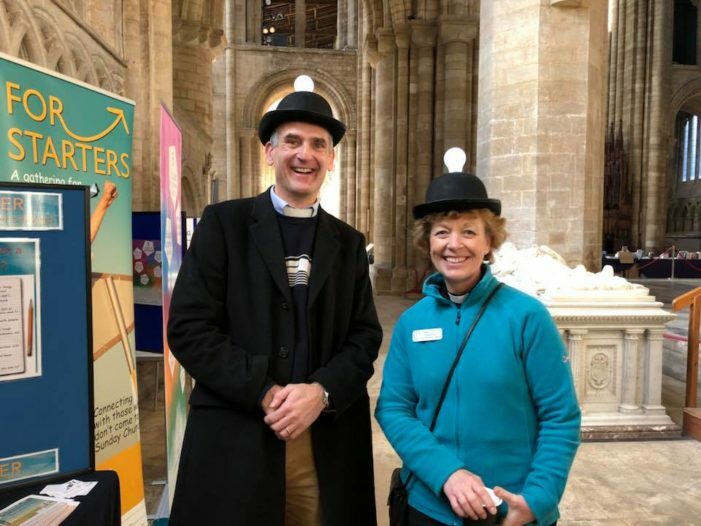 The theme of the day – the first to ever be held at the Cathedral – was ‘St Paul for today’, and featured a meditation on Paul’s conversion (led by Canon Missioner Sarah Brown), two talks from Bishop Donald, two workshops (out of a choice of 13), and a Q&A session with both Bishop Donald and the Archdeacon of Oakham, Gordon Steele. 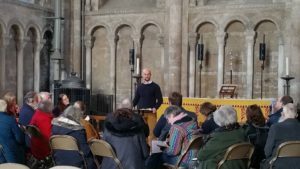 Since its inception in 2011, the Bishop’s Bible Day has provided a chance for parishioners across the Diocese to get together, attend workshops and study the Bible collectively. 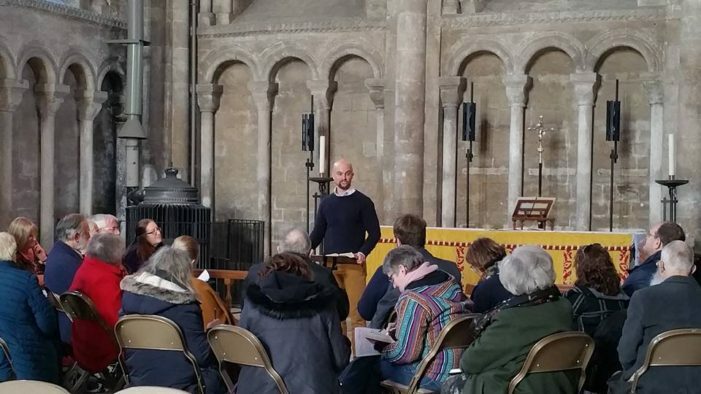 The day is designed to be for ‘anyone who uses the Bible in their ministry, in church, in school, at work, in the community or at home’, and at the Cathedral, parishioners listened intently as Bishop Donald described Paul as the ‘greatest theologian of the early church’. Bishop Donald’s talks focused on Paul’s letter to the Galatians, and how he sought to overturn the legalism of the time – the belief that Christianity was about keeping a list of commandments and rules. In the words of Bishop Donald, ‘God loves you; his Grace is poured out on you; his forgiveness is free. God loves us because he’s our Father. Galatians is there to help us overturn religion. It replaces religion with Jesus’. He was keen to stress, though, that this doesn’t give Christians carte blanche to do whatever they like. Instead, obedience should be a natural response to God’s love: ‘What matters is knowing Christ, walking with Christ and keeping the law of Christ’. Chad Chadwick leading his workshop on ‘Rest: The new rebellion’. 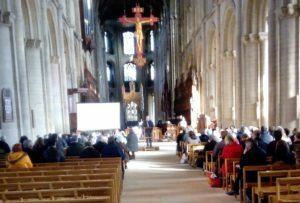 While only 5% of the national population are attending church on a Sunday, numbers in the Peterborough diocese are increasing, and such has been the demand for the Bishop’s Bible Day that two such days are being held in 2018 for the first time. The second will take place at Northampton High School in Hardingstone next Saturday (3rd March).